Variety, the world’s leading show-business publication, reports on a new crime series called ‘Maltese’, written by Leonardo Fasoli and Maddalena Ravagli, who worked on the hit series ‘Gomorrah’, about organised crime in Naples. It is produced by Palomar, Italian state television network RAI and Maze Pictures. The eight-part series stars Kim Rossi Stuart as a police detective who returns to his homeland, Sicily, to be at the wedding of a childhood friend. He finds himself caught up in a murder and waging war against the mafia. 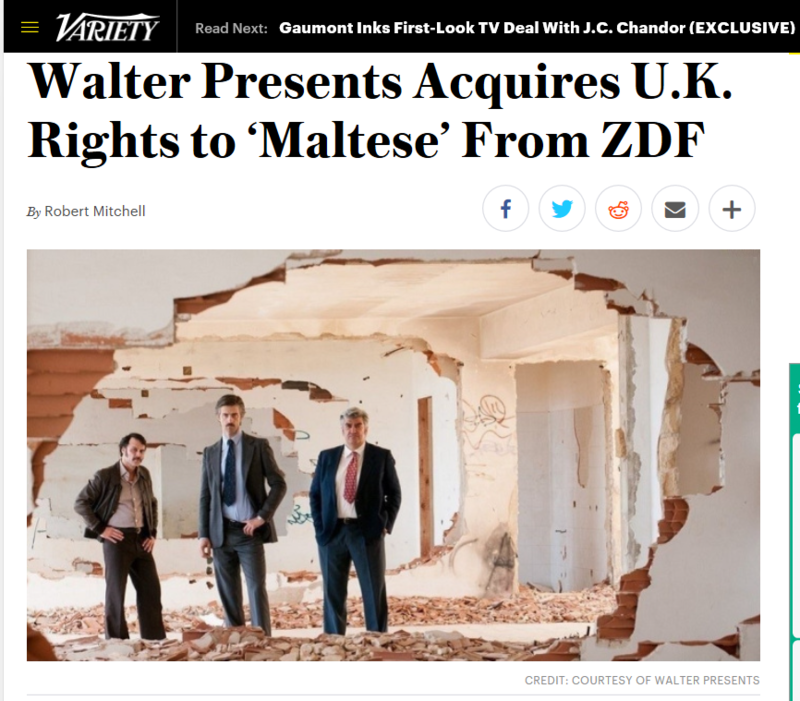 I was impressed by the publicity still, which shows a typically Maltese scene even if it’s not meant to be: three Maltese archetypes in a partially demolished ‘house of character’. I’m hoping Maltese is just the detective’s surname.